Today is the annual Summer Reading Extravaganza! This year, due to a library-wide renovation my library isn’t participating in any of the big summer reading themes. Instead, we’re going with a construction theme. I wasn’t planning on posting this week, but then I came across the most delightful blog: Made by Joel. Father/artist Joel Henriques makes beautiful handmade education projects for children. In addition to the wonderful It’s wall-to-wall awesomeness, and it’s a veritable goldmine of Flannel Friday inspiration. In addition to sharing images of his gorgeous homemade toys that won’t fail to inspire your own projects, he offers a whole slew of free printables in pdf. Now here’s where #FF and our Summer Reading Extravaganza comes in: Paper City Printouts are a perfect fit for the iRead SRC theme: Have Book–Will Travel. You can download one or several sets that include vehicles, aircrafts, buildings, and people. 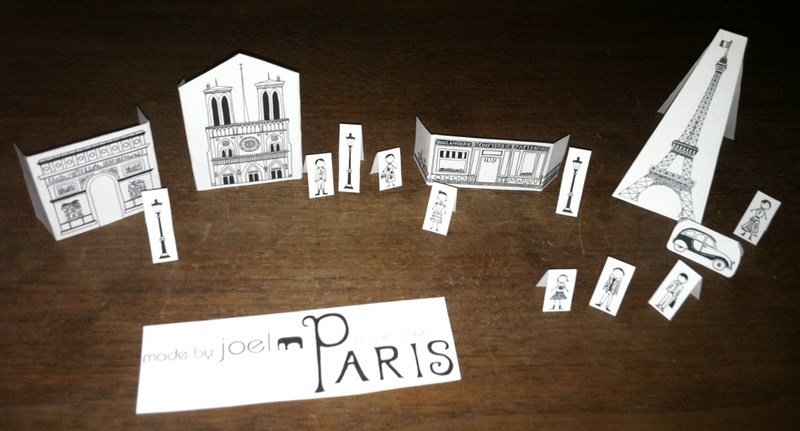 He also offers 2 sets based on real (world-class) cities: Paris and Sydney. These free DIY playsets can be used in a variety of different ways. You could laminate a set for patrons to play with in the library. You could offer them as a make-and-take craft. The possibilities are endless. Just make sure that if you do offer them, to prominently display the artist’s name and blog. Even better, purchase a copy of his new book Made To Play! 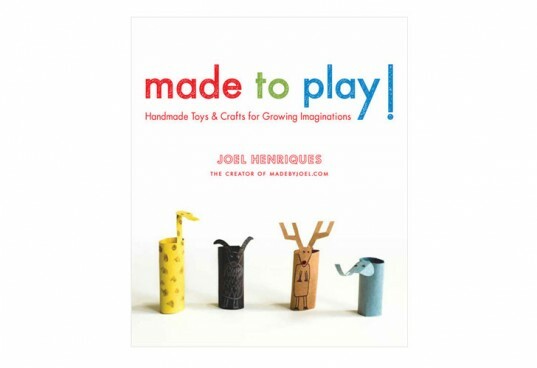 : Handmade Toys and Crafts for Growing Imaginations for your 700s. I purchased a copy for the library this morning, and another for myself a few minutes ago! I’m sure #FFers will think of a zillion brilliant ways to use these beautiful freebies. If you do make sure to like Made by Joel on facebook. And don’t forget to take pictures of your patrons making/playing with them when you get a chance. Lisa is hosting this very special #FFRU at Libraryland. Thanks Lisa!